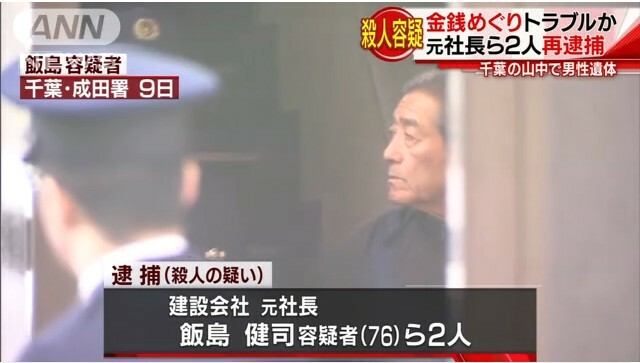 CHIBA (TR) – A court here last week rendered a confession by a defendant on trial for murder as inadmissible due to a lengthy interrogation period, reports the Sankei Shimbun (Mar. 15). 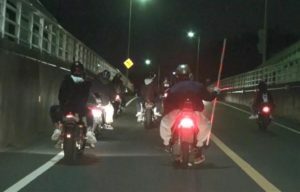 According to the ruling, Takeshi Iijima, the 77-year-old former president of Iijima Kogyo, based in Tokyo’s Adachi Ward, fatally assaulted 69-year-old Kazuo Kato, in the area of the shoulder with an iron pipe at a reclamation site in Narita City, Chiba on March 3 of last year. Iijima then burned Kato’s corpse before hauling it away to dump it. In addition to destruction and abandoning a corpse, Iijima was accused of murder. 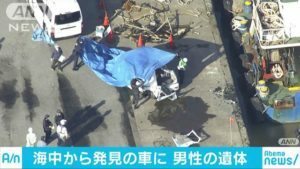 However, presiding judge Toshiya Matsuda did not recognize murder in handing down the sentence at the Chiba District Court on March 15. “I do not recognize that there was murderous intent,” the judge said in adopting the charge of manslaughter. Prosecutors had sought a 10-year term. Kato, who went missing on March 3, 2018, was the president of an industrial waste processing firm based in Narita City, Chiba. Based on the investigation, he was believed to have encountered financial difficulties with Iijima related to construction work. 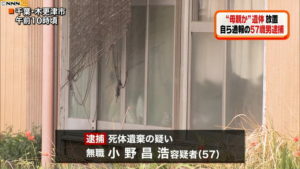 Police first arrested Iijima and an accomplice for dumping the corpse of Kato in a mountainous area of Katori City, Chiba on a property connected to Iijima’s former company on March 3 and 4. During questioning, Iijima and the accomplice told police that they burned the body before transporting it in a truck to the location where it was found. During the trial, the prosecution claimed that “Iijima repeatedly beat Kato in the face while knowing there was a high probably he would die.” The defense countered by claiming there was no intent to kill, saying “there is no proof [the defendant] hit [the victim] in the face.” The defense sought for manslaughter to be adopted in lieu of murder and a suspended sentence.